TeamDesk provides support for removing the enclosing paragraph, table row or table when field's value is empty. You can edit document templates and add the suffixes for removing a paragraph (#dp), table row (#dr) or table (#dt). These features may help to adjust document layout dynamically based on the presence/absence of some information in a database. You created the “Service Form” document template including the “Contact Person” field and “Photo” fields, these fields can comprise empty values, when the Contact Person is not indicated or there are no attached photos. As a result, the generated document also comprises the empty fields. Put cursor on the field of interest, for example on the «Contact|Person» field. Click the right mouse button, select the “Edit Field” option in the dropdown menu and the Field form will be displayed. To remove the paragraph, add the #dp suffix to the field name. Add the same suffixes to the “Photo” fields. 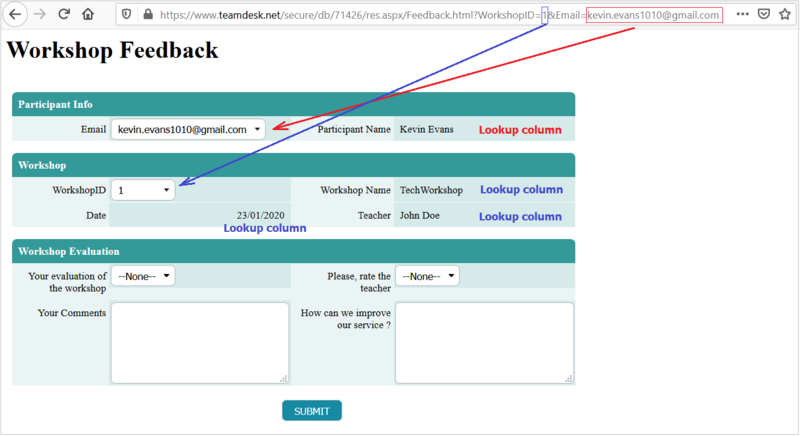 Save changed document template in and upload it to TeamDesk. As a result, if there are no values in the “Contact Person” and “Photo” fields, the corresponding paragraphs are deleted. To remove a table row, add the #dr suffix to the field name. As a result, if there are no values in the “Company” field, the corresponding row will be deleted. To remove a whole table, add the #dt suffix to the field name. As a result, if there are no values in the “Invoices/Invoice” field, the whole “Invioces” table will be deleted.